Pope John Paul II was canonized by Pope Francis on April 27, 2014. It is astounding to reflect on the fact that the man who occupied the chair of St. Peter for 27 years was a living saint. He was an amazing gift from God for our time, and his mission begun on earth now continues from heaven. His feast day is October 22nd, the anniversary of the day he was inaugurated as the Roman Pontiff. Below we've put together a gift selection for those who have a devotion to one of our newest (and greatest!) heavenly intercessors. 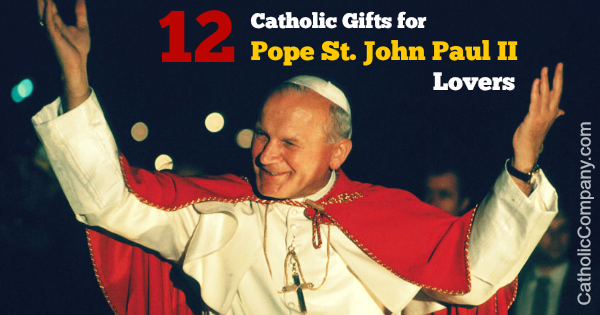 Each of these Catholic gifts commemorating Pope Saint John Paul II will undoubtedly help foster love for and devotion to this new patron saint. And hopefully, with his closeness and intercession, help you to become the saint that he desires you to be. 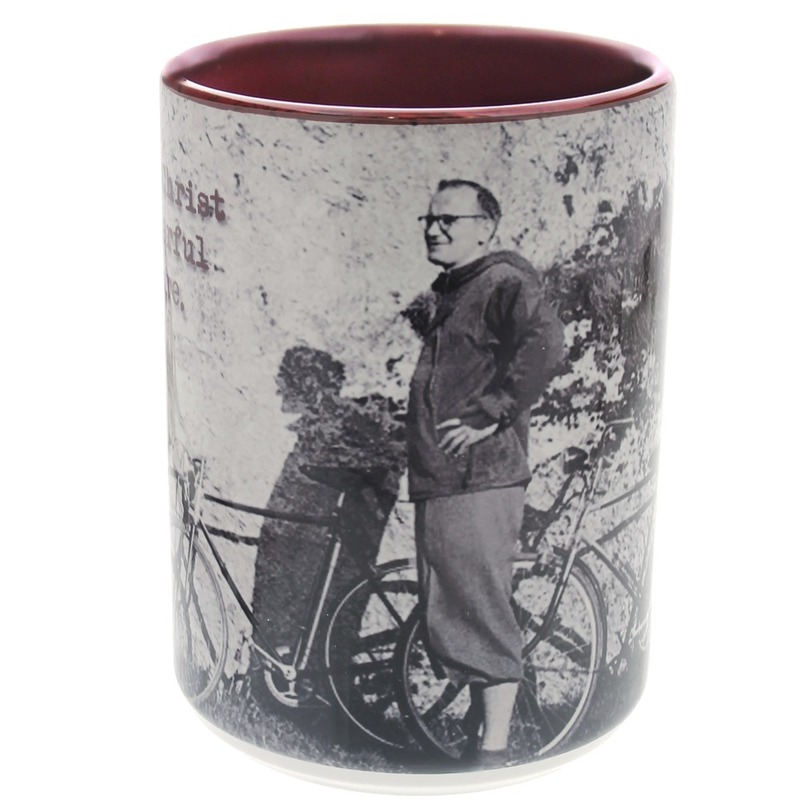 You can find all of these JP2 gifts (and more!) by clicking here. John Paul II loved the Blessed Virgin Mary and was a tireless promoter of her Holy Rosary. This audio rosary is based on Pope St. John Paul II's specific requests in his papal document On the Most Holy Rosary (Rosarium Virginis Mariae). It includes the Holy Father's personal reflections and brief meditations. 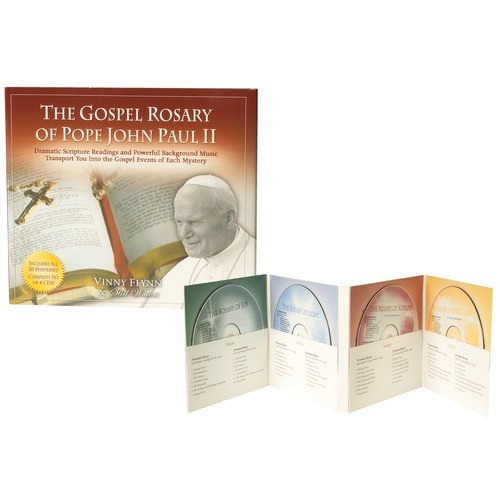 This 4 CD set includes the mysteries of the rosary (including the Luminous Mysteries that Pope John Paul II himself instituted) along with dramatic scripture readings recited by Vinny Flynn (author of Seven Secrets of the Eucharist and Seven Secrets of Confession) set to music. 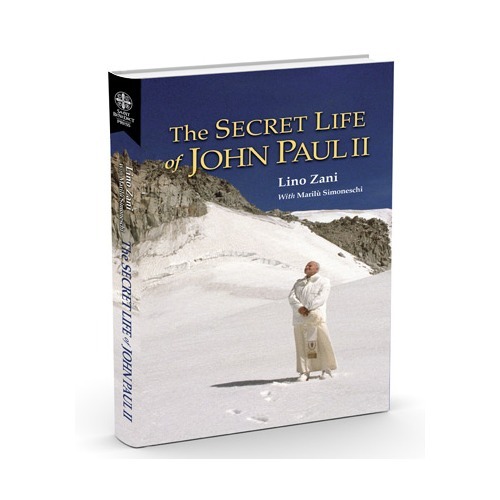 It is well known that John Paul II was an avid sportsman and a lover of the outdoors ... but the story of his clandestine trips to the mountains with a handful of his closest friends has remained hidden, until now. This popular book is a behind-the-scenes look at the Pope when he was away from the Vatican, written from the perspective of his ski guide and friend, Lino Zani. This is the story of the Pope as you’ve never seen him, at play and prayer in his beloved mountains. 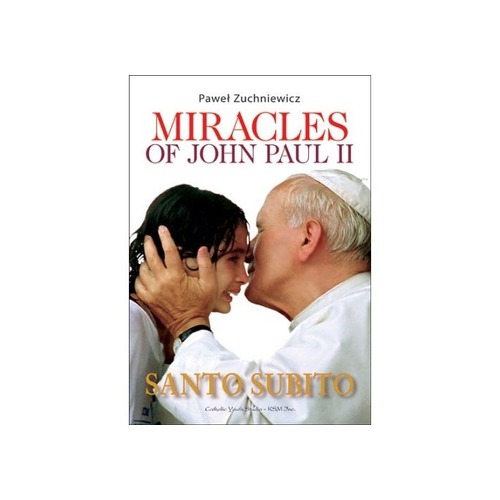 An instant best-seller when released in Europe, this powerful book describes the life and impact of Pope John Paul II as told by individuals from all over the world who give moving personal testimonies of how they experienced healings through the intercession of Pope John Paul II during his lifetime. From children to the elderly, these detailed testimonies reveal amazing answers to prayers through the direct intervention of John Paul II while he was still alive. 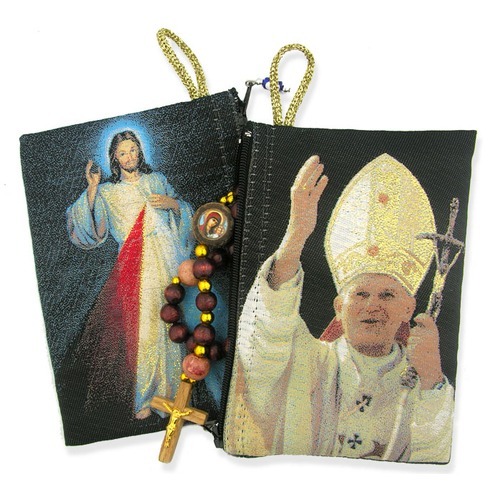 This tapestry-style rosary pouch has an image of the Holy Father on one side and the Divine Mercy image on the other. Pope St. John Paul II had a strong devotion to Our Lady, helping to popularize and spread devotion to her rosary. He is also responsible for the promulgation of the Divine Mercy devotion, canonizing St. Faustina as the first saint of the new millennium, and instituting Divine Mercy Sunday. He also died on the eve of Divine Mercy Sunday! The Holy Father was a man of deep, profound prayer, on display for the whole world to see and learn from. He was also incredibly inspirational, and constantly encouraged people to be better people. 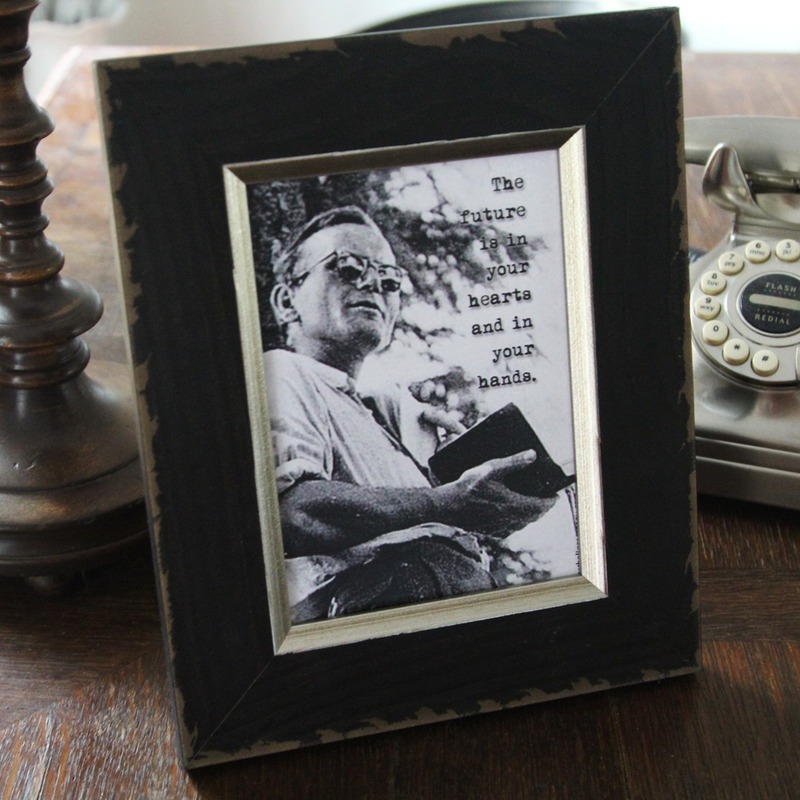 It is hard not to look at images of this holy man and not be inspired to live life to the fullest for the glory of Jesus Christ (just like he did), as captured in this photo frame. 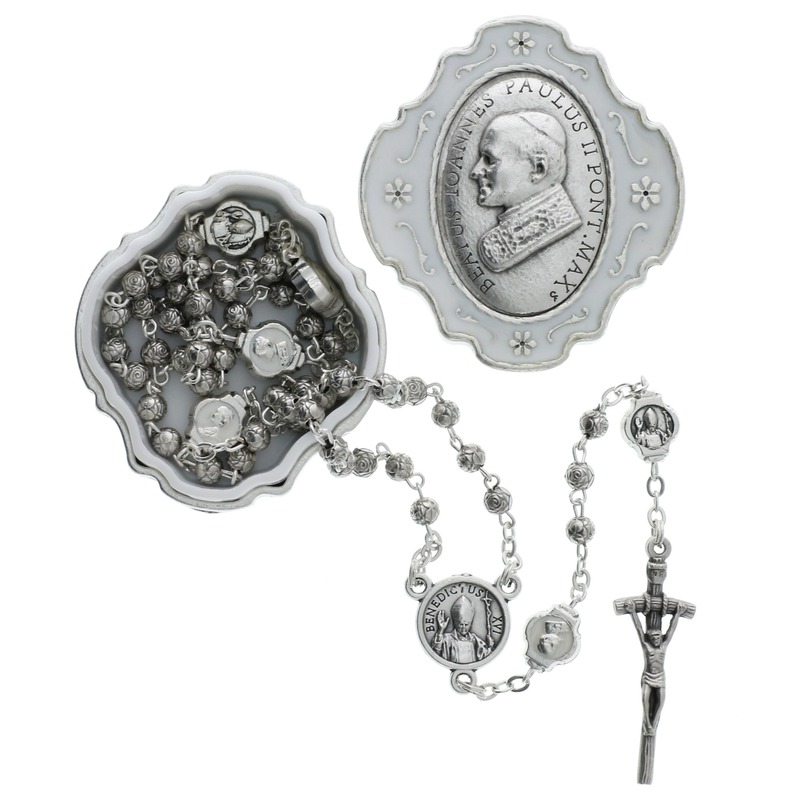 This small commemorative Blessed John Paul II rosary box is imported from Italy and features an image of the Holy Father on the lid. Inside is a miniature rosary with his papal crucifix. The centerpiece and Our Father beads are double-sided with a likeness of the Holy Father, while the metal rosary beads are shaped as tiny rose buds, calling to mind his devotion to the Virgin Mary. This is a neat keepsake to remember a Holy Father turned Holy Saint. 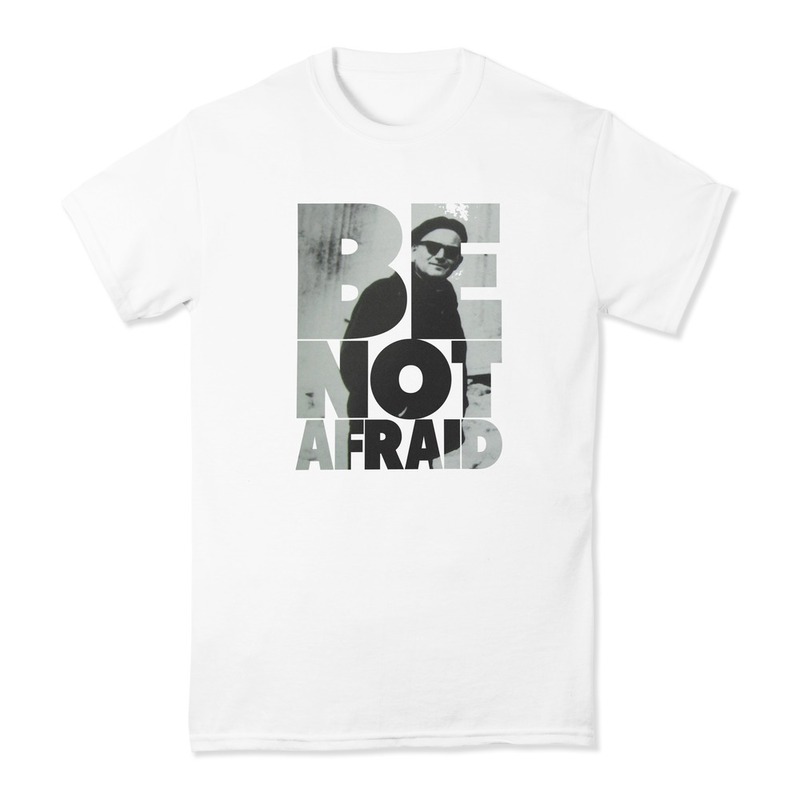 If there is one phrase for which Pope St. John Paul II is the most famous, it would be, "Be Not Afraid." This Holy Father—who grew up under communist oppression and destroyed its hold in the Eastern Bloc, all while encouraging a generation of young people around the world to work and hope for a brighter future—will always be remembered for his heroism, joy, and faith while fighting great evils in the world. 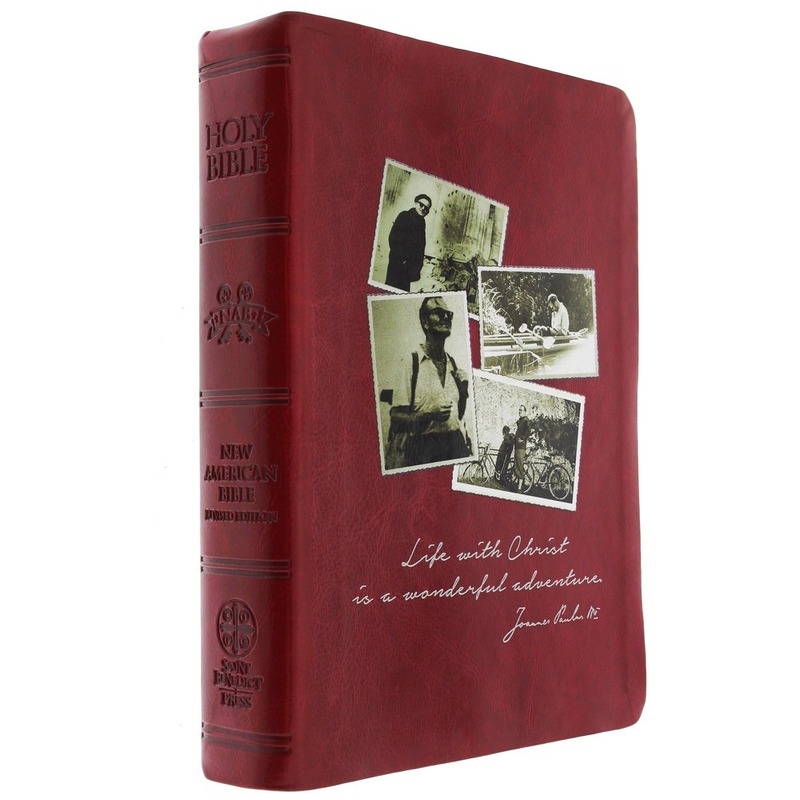 John Paul II lovers will surely love how his "outdoorsy" spirit is captured in this "Adventure Bible." It features fun, hipster images of the Holy Father in candid moments while enjoying the great outdoors. It comes in traditional black or hipster red and features his encouraging phrase, "Life with Christ is a wonderful adventure." 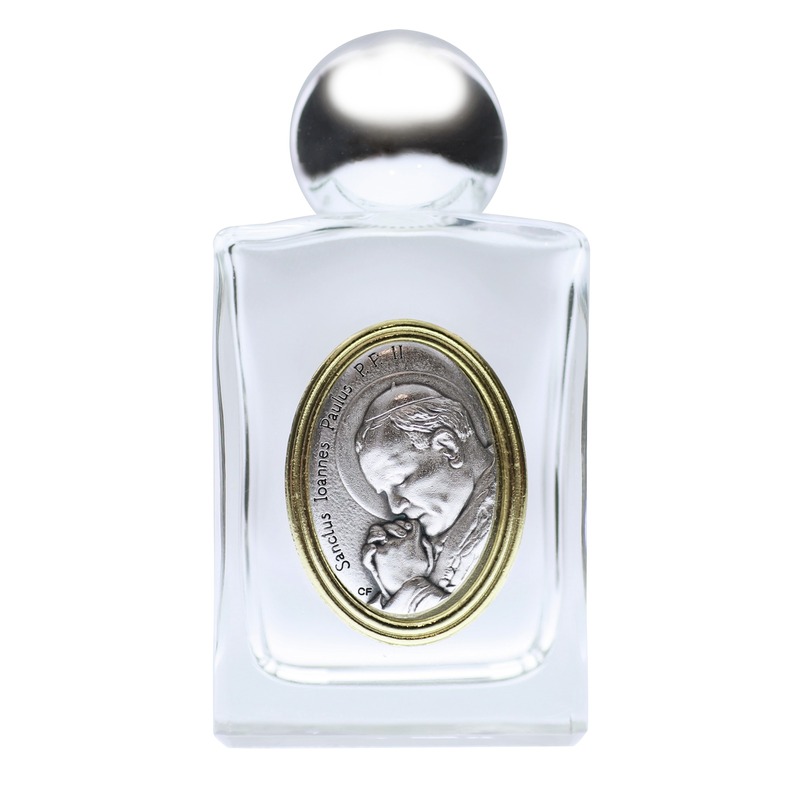 The special glass holy water bottle features a saint medal with an image of the Holy Father deep in prayer. Since his death, exorcists have commented that the former Holy Father is a powerful saint to invoke in exorcisms. This holy water bottle is a reminder that he is now a powerful intercessor in our spiritual battles. John Paul II was always a man of fun and adventure, which didn't stop when he became the Supreme Pontiff. He was rugged and athletic and loved the outdoors, and exuded a joy for living life to the fullest. He was energized by the beauty of God's creation, and this mug captures that joyous spirit. 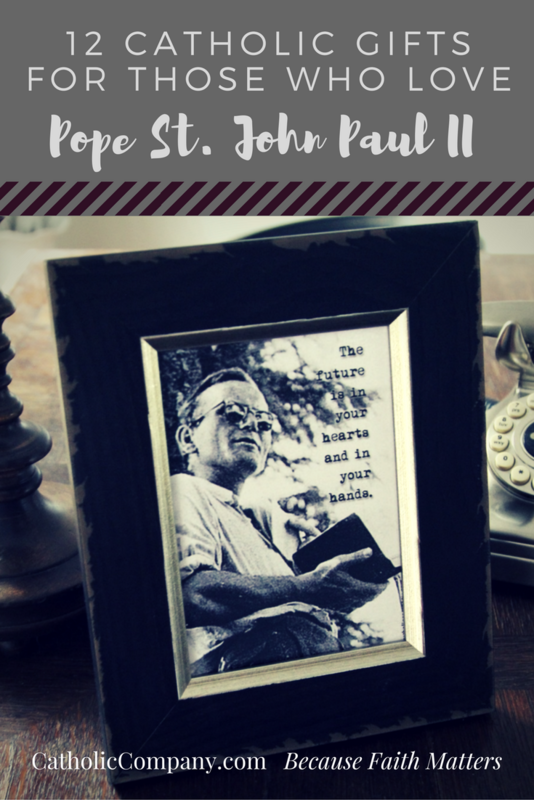 Any lover of John Paul II would be remiss if they did not familiarize themselves with his writing and teaching. Among his many gifts, Pope John Paul II was a world-class theologian. 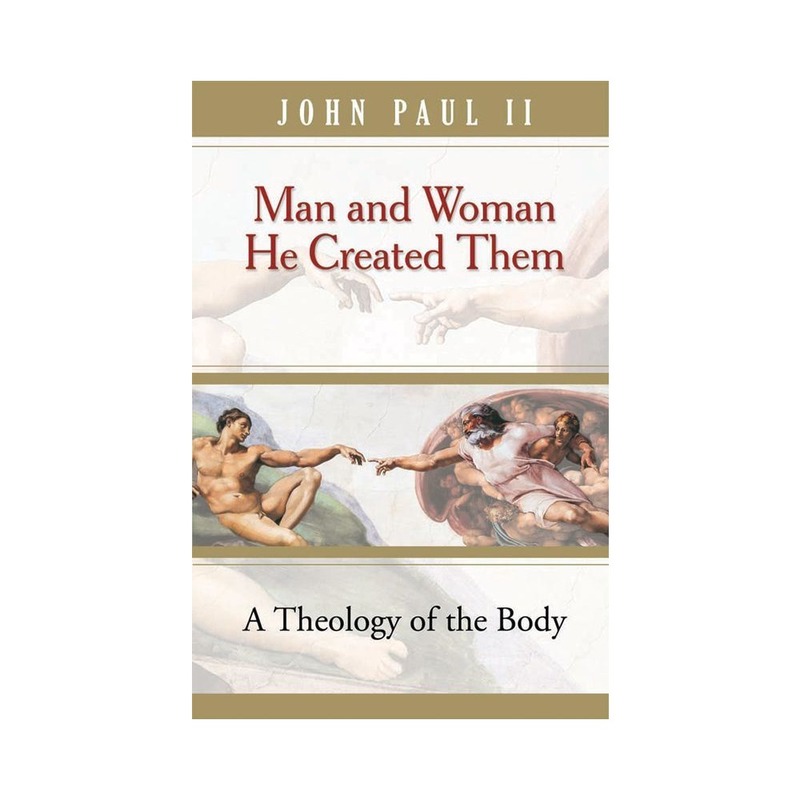 His most important work is his Theology of the Body, his magnificent teaching on the human person made in God's image, and how the human body as male and female communicates the mystery of Christ to us. This teaching, which can be considered prophetic, was given by God precisely for this time of confusion in which we live, when the understanding of human sexuality has become so twisted and deformed. The saint can help us recover ourselves and heal our bodies and souls with the truth of Christ. Finally, if you love this saint, spread devotion to him! 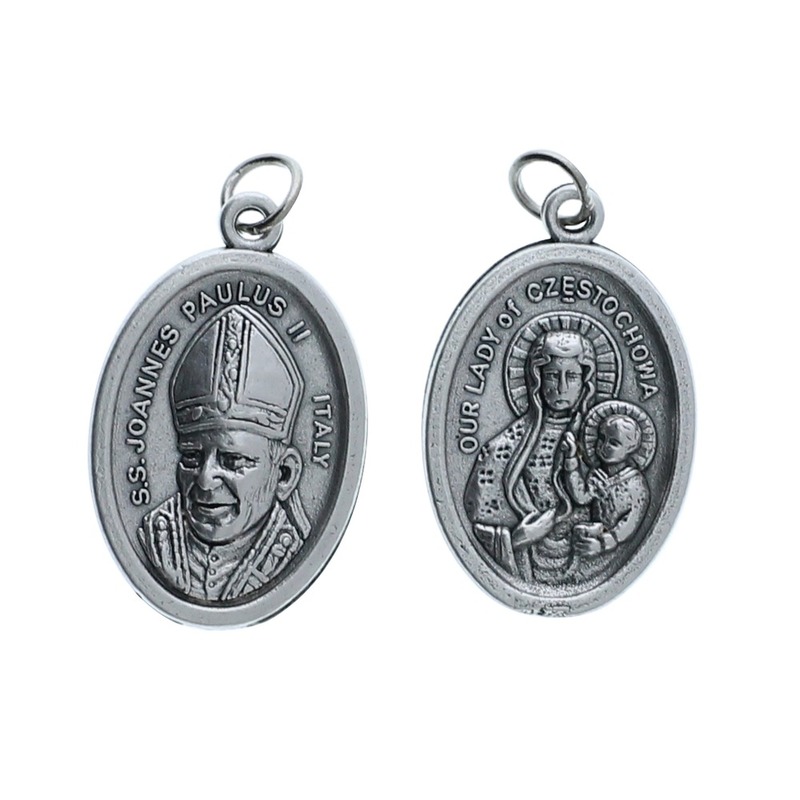 This medal comes in a pack of 25 and features John Paul II on one side and Our Lady of Czestochowa, patron of his native Poland, on the other. The story of John Paul II cannot be told apart from Our Lady, to whom he dedicated his pontificate with his papal motto, Totus Tuus (Totally Yours). He became Pope on October 16th, not the 22nd. Hi Julie, his papal inauguration was on October 22nd. To avoid confusion we will update the text to say "inaugurated" instead of "became." Thank you for pointing this out! our LADY of FATIMA IS A WONDERFUL THING TO HAVE HAPPENED TO THREE LITTLE CHILDREN, HOW MANY OF US JUST WISH IT COULD HAPPEN TO US .